Grover, Benji and Nanna Jean is the third delightful instalment in the Grover McBane Rescue Dog series. Based on the real-life experience of the author, the series delves into the life of rescue dog Grover and shares both his troubles and joys. Previously, Grover has found a new and delightful home with rescue centre worker, Annie, who provides relief from Grover’s previous life with The Man With Big Boots. Grover is soon helping other dogs as they arrive at the centre. He loves his new job meeting new friends and helping them overcome their problems. Lurking on his porch though, is the nasty neighbourhood cat, Mr Tibbles. 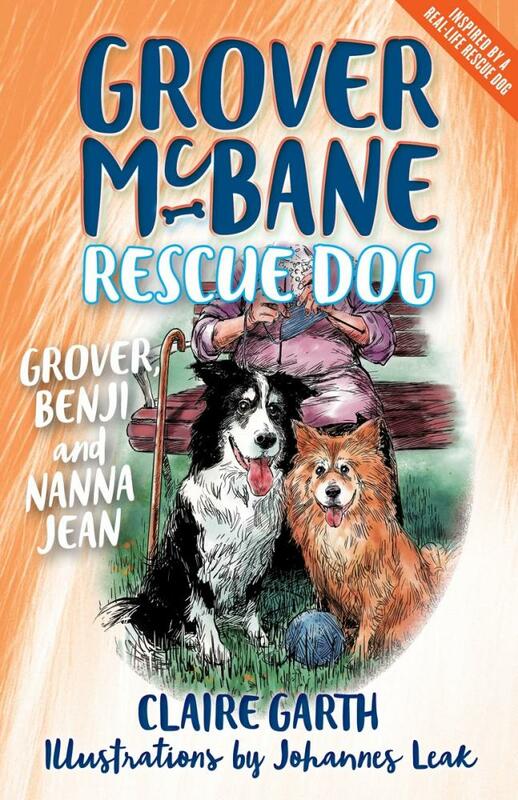 When Grover needs to help the blind and deaf rescue dog Benji to adjust to his new life, Mr Tibbles sets Grover a big challenge! Told in the voice of the animals and expressing their thoughts and feelings, this series is ideal for animal lovers. We delve into the conversations of the animal friends, allowing young readers to discover that they may also experience those same emotions in their own lives. We also gently come to understand the special relationship that exists between pets and their owners and significantly, that our animal friends need responsible care, understanding and respect. The illustrations add a delightful dimension to the tale and further endear the pets and their stories to the reader. The language is accessible and formatted for those developing independence in their reading. The important role that animal shelters and vets have in our community is also highlighted and it is lovely to see that a percentage of sales goes to the Sydney Dogs’ and Cats’ Home.